BC Racing Wheel FJ 34's for Your Ford Vehicle at ModBargains! BC Racing Wheels FJ 34's are now available for Ford vehicles at ModBargains with GREAT PRICES, FAST SHIPPING, and QUICK DELIVERY TIMES! Give us a call to order at 714-582-3330. When choosing wheels for your vehicle it is important to keep a few important things in mind: the quality, function, design and price. With the BC Racing Wheels FJ 34 you get the best of everything. FJ 34 links the gap between a race wheel and a luxury design wheel. The wheel has spoke edges that are extremely detailed, making the wheel even more full and innovative. And if that’s not enough, endless customizable options for fitment and finishes are available to get that perfect look that you want. And it doesn't end with aesthetics. Every BC Racing Wheel model is made out of T6061 aluminum for extra strength and lightness. You really can’t go wrong with the FJ 34 BC Racing Wheels! The BC Racing Wheels FJ 34 can come in just about any color or finish that your mind can imagine. The limitless customization you can apply to BC's wheels is what gives you car that unique look that distinguishes it from the rest. And with the help of one of our ModBargains product specialists you can order your dream wheel fitment and style in a matter of minutes. 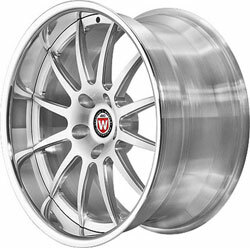 So if you're ready to grab a new set of BC Racing Wheels FJ 34's, give ModBargains a call at 714-582-3330. Buying your BC Racing Wheels FJ 34's from ModBargains is an excellent decision. Our product experts will ensure that you order the right fitment and wheel for your car and answer any questions that you may have with ease. We also offer the best customer service in the business, and our delivery times for wheels are quick and easy for your convenience and happiness. We offer great prices on BC Racing Wheels. If you're looking to completely deck out your ride with a new look that's light and strong, grab a set of BC Racing Wheels FJ 34's at ModBargains!